The 10 Best Bait Shops in Oklahoma! The many great lakes of Oklahoma provide anglers and first-time fishermen a place to catch bass, perch, catfish, trout, and more. But as you prepare for your excursion, you’re going to need some bait and supplies. Before you go, be sure to check the rules and regulations about fishing licenses at the Oklahoma Department of Wildlife Conservation’s website. When you’re all set, head to the best bait shops in the state to load up on all the fishing gear and bait you’ll need. 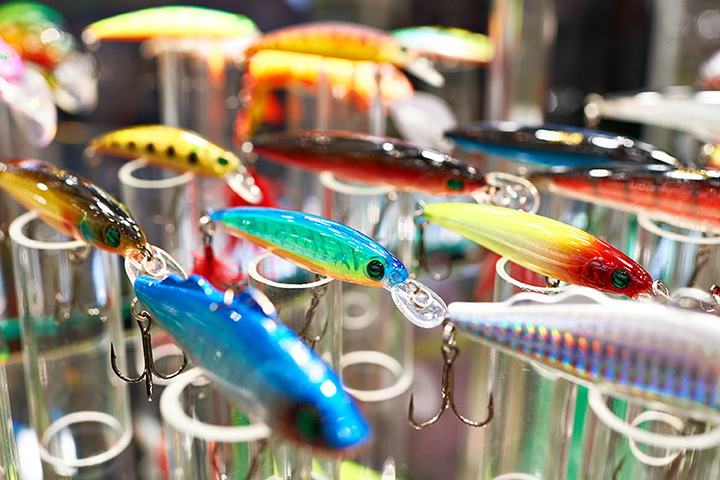 Here are our 10 favorite bait shops in the state! Whether you’re an amateur or pro fisherman, this store offers personalized service, bait and equipment to help get those fish to bite. It’s locally owned, so you’ll get all that expertise you’re looking for when you visit Lucky Lure. There are many bait shops near Grand Lake, but Blue Water Bait & Tackle is one of the best. It’s open most of the year, and offers hunting and camping gear as well as live bait and fishing supplies. At Tom Steed Bait Shop, not only will you find beer, bait and tackle, but you can also get burgers, just in case you don’t catch enough fish for dinner. The Ketchum Bait Shop shares its space with Bobber’s Café, and you’ll find live bait and tackle when you’re in the north Grand Lake area. The owners are local and know about fishing. TJ’s Bait Shop is going through a remodel, but it’s still one of the best places in the area to find live bait and tackle. The Old House Bait Shop has a great country feel to it. You can live and frozen bait, hooks and lots of tackle for your next fishing trip. Nabatak Outdooors is a sporting goods store that offers live bait and fishing equipment. It’s been around for 50 years. You’ll get lots of great information from the staff when you stop in. You’ll find live bait and cold beer for your fishing trip at Lake Ellsworth. If you get rained out, they have pool tables and other bar games to keep you and your fishing buddies occupied. This shop offers great quality fishing gear and live bait. It started over 50 years ago, by the current owner’s father, who needed to stay busy after injuring his back. It turned into a family business that has made its mission to encourage other fishermen and women to enjoy this exciting sport. Gibson Bait and Tackle is just south of Lake Hudson and a little north of Fort Gibson Lake. You’ll find live bait, boat and other fishing equipment, as well as lots of information about fishing in the area.